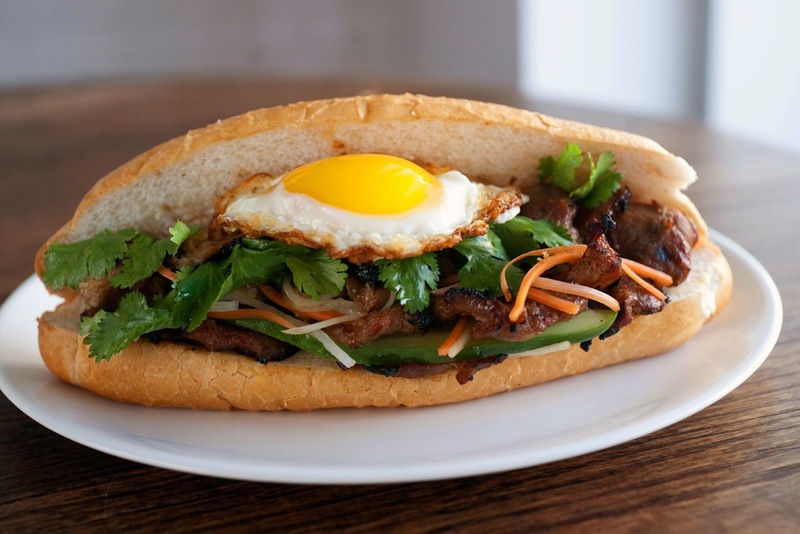 The banh mi has become more popular in the past few years in Dallas. You see them on menus fused, and sometimes dazed and confused. The sandwich is a by-product of the French occupation of Vietnam, and starts with a wonderful baguette that displays an ever so crisp exterior, and a more inviting soft center. As for fillings, we often think grilled pork, and what a wondefful selection that can be. However, in Vietnam you might find a more interesting and broader choice of meats including Vietnamese sausage, roasted pork, spreadable pork liver pâté, grilled chicken, chicken floss, sardines in tomato sauce, soft pork meatballs in tomato sauce, head cheese, fried eggs, and tofu. To top your sandwich, you might select fresh or pickled vegetables such as cucumber slices, cilantro, pickled carrots and daikon in shredded form. Common condiments include sriracha, sliced chilies, mayonnaise, and even cheese. There appears to be a new restaurant power couple developing restaurants at break neck speeds in Dallas. Opening their first restaurant, Wicked Po Boy, back in June of 2012, Lan Chi and Joey Le have since opened Tanoshii Ramen + Bar successfully in Deep Ellum this past September. 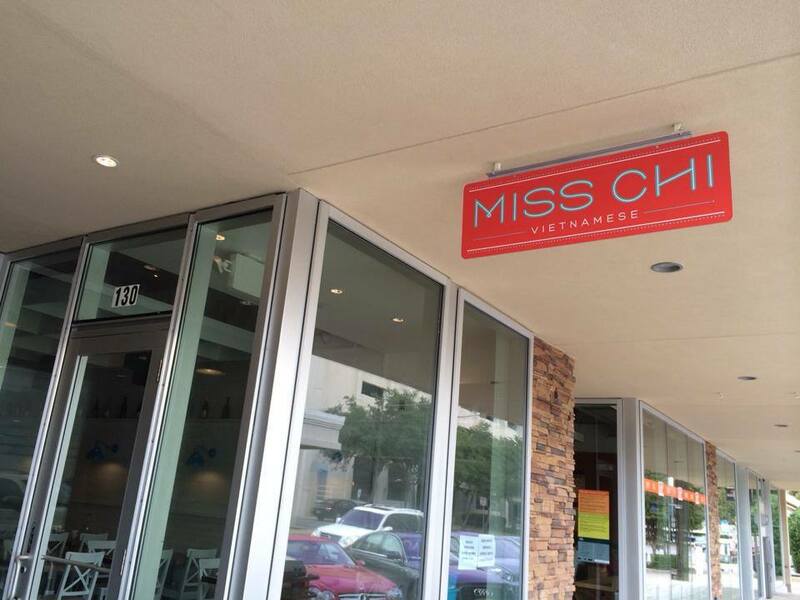 Less than a month ago Miss Chi was introduced in Preston Center, and based on the crowds we witnessed on several occasions, the latest restaurant is a huge success. We have loved and enjoyed each concept, and Miss Chi certainly falls into those ranks.